Being a vegan for almost three years, I have been through various brands of vegan protein. No doubt I was often left unsatisfied either by the quality or taste of sickly sweetness. This was until I discovered Nutritech Fitlife Vegan Protein, founded in 2011, it is hard to believe that such a great quality product was available right here in South Africa. Nutritech offers different types of supplements for your individual goals and lifestyle choices cue vegan protein and upon perusing their website, I was surprised to see just how extensive their range is. I will be focusing more on their formidable vegan protein, which has become an essential part of my plant based lifestyle. 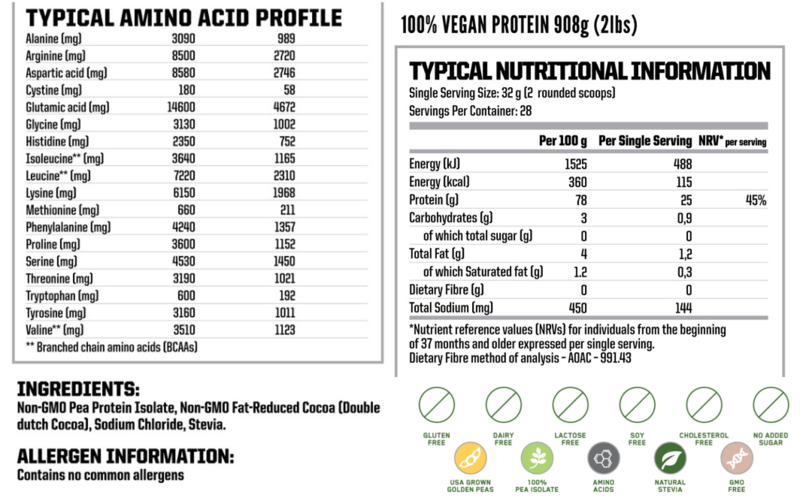 The Vegan protein is available in 908g (2.0lbs) and in two flavours, namely Naturally Flavoured and Double Dutch Cocoa. In my previous experiences of vegan protein, I often stuck to the unflavoured options, which allowed me to add my own flavours, in order to make the taste experience better. If you have tried a vegan protein before, you will know that vegan protein is much grittier than regular whey protein, therefore taste is imperative so you are not left with that unpleasant gritty aftertaste. When I decided to try Nutritech’s range of flavours, I opted for the Double Dutch Cocoa, I was not disappointed. The taste for me was like a combination of caramel and chocolate, leaving you with a smooth, delicious aftertaste. The cocoa used is non-GMO and sweetened with stevia glycosides (stevia). Surprisingly the texture of Nutritech’s vegan protein is so smooth, I had to read the label three times over just to make sure it was not whey protein; yes fellow vegans there is such thing as a smooth vegan protein thanks to Nutritech. 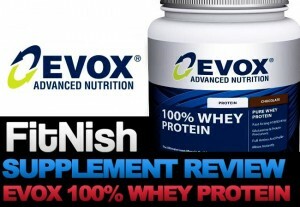 It mixes easily and differs from the thick consistency I was used to and disliked from other brands of vegan protein. This is part that I was most concerned with, PROTEIN. 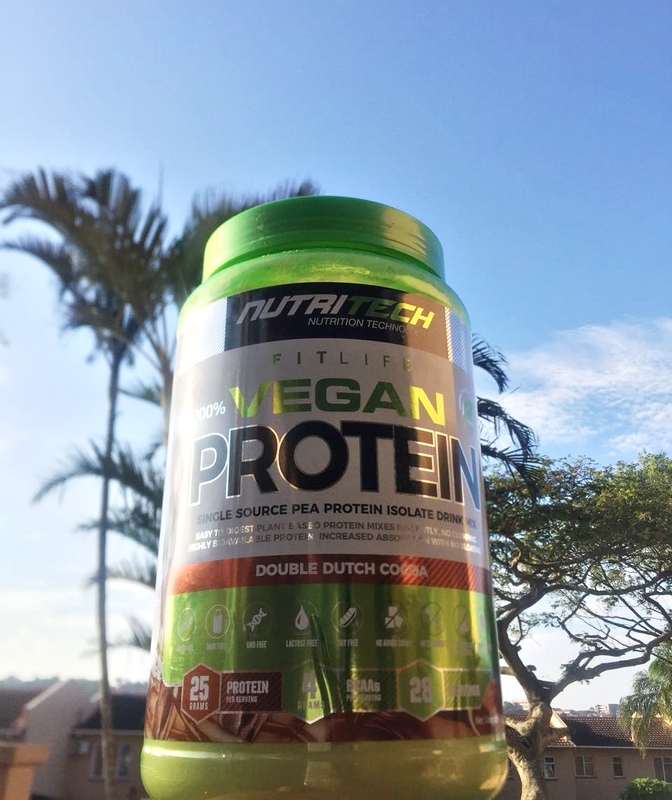 Nutritech’s vegan protein is made from non-GMO golden peas, the protein vegans consume from this particular brand is pea protein isolate. It carries 25 grams of protein per 32 gram scoop and unlike other brands Nutritech actually includes a scoop in their vegan protein. Per 100 gram serving size it carries 75 grams of protein. As a vegan athlete the extra nutritional value in vegan protein is just as important as the protein content. Nutritech prides itself on making sure that their vegan clients are getting exactly what their bodies need in order to perform on the same level as their meat-eating counter parts if not better (I am biased). This is where BCAA’s (Branch Chain Amino Acids) come in, L-Leucine, L-Valine and L-Isoleucine are included along with other amino acids. 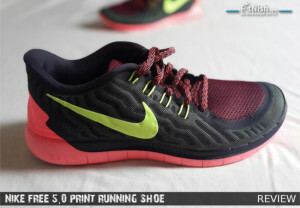 The carbohydrate content is 3 grams per 100 gram serving, 0.9 grams per 32 gram serving. If all of the above hasn’t sold you yet, saving money definitely will. I went from spending R340.00 on 800g of vegan protein to saving R24.00 with Nutritech Fitlife Vegan Protein. The 908g tub costs R269.00 giving you 28 servings per tub. You can purchase their vegan protein at selected nutrition, health and supplements shop, alternatively online purchasing is available from nutritechfit.com or chromesa. There is no doubt that I am absolutely smitten with Nutritech Fitlife Vegan Protein and it should be noted that I am not sponsored by Nutritech. Being able to find and use a vegan protein that is not sickly sweet, high in sugar and carbohydrates and caters to my competing and fitness lifestyle is few and far between, so discovering Nutritech’s vegan option can be compared to finding a pot of gold… a pot of golden peas that is. I found it easy to digest, my recovery time decreased which is an added benefit for athletes that have strict training schedules. If you are keen on trying a vegan protein regardless if you consume meat or not, I would say let Nutritech be your first option, you will be pleasantly surprised that a vegan protein could taste this delicious, no disgusting smell, affordable and again it comes with a scoop. Throw? to KZN’s and all round magic ?